As I only started as head gardener here at the end of last summer this was my first March in the Charterhouse gardens. I am happily surprised every day as the crocuses, daffodils and bluebells start pushing their shoots up through the soil in unexpected places. 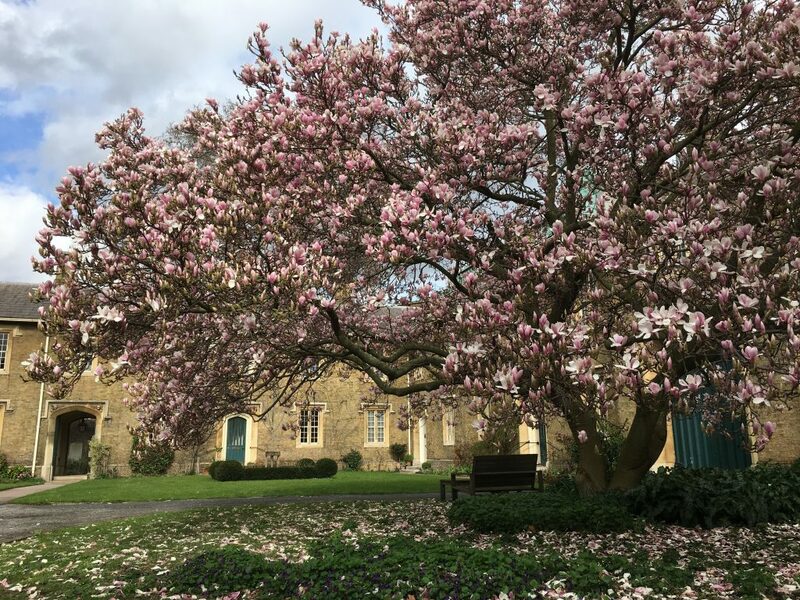 With the combination of the unseasonably mild February and the microclimate of the city centre site, spring is coming apace and the gardens are bursting into life and colour with pink camellias and the magnificent magnolia soulangeana. However a gardener’s thoughts are never just fixed in the here and now and I have already started taking pictures and making notes for how I can add and improve for next spring. On the list is the pretty white multi-headed Narcissus Thalia and the more traditional lent lily Narcissus Obvallaris which is coming out in the square. One of the things I was delighted to see was a large sweep of snowdrops in the wildlife area, so as they have gone over now, I will start to lift and divide them and move them around the gardens to create a bigger display. 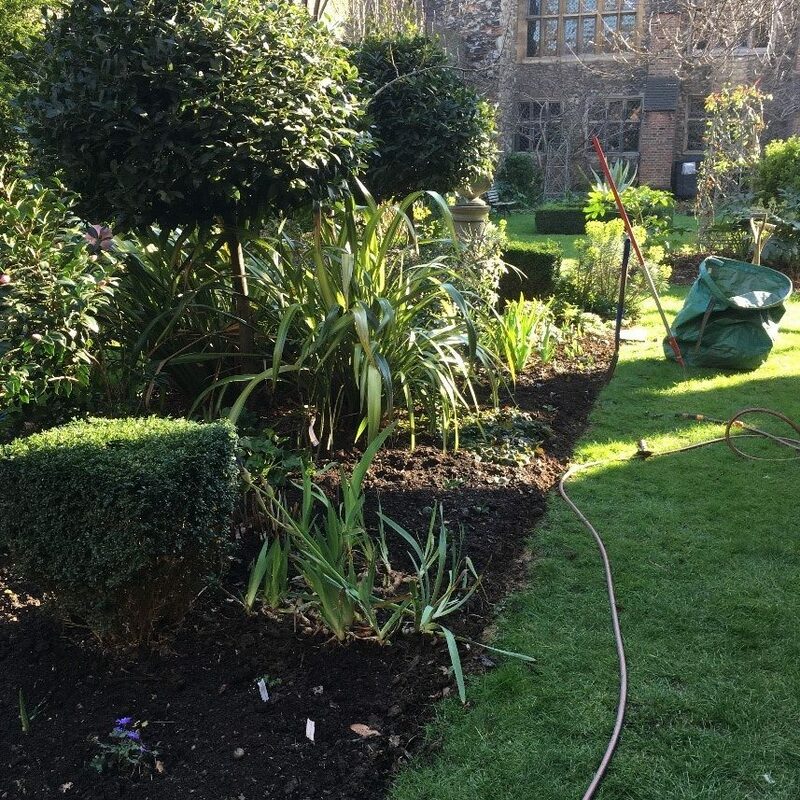 These lovely warm days have been perfect for getting the gardens tidied up and ready for the year ahead. We have been cutting back the perennials, pruning the wisterias and roses and putting a lovely thick layer of our very own compost down to improve the very clay soil and feed the emerging plants. But even as I start to get ahead of myself imagining the gardens in the full bloom, I always have my eye on the weather forecast to check for that cold snap that could be just around the corner.